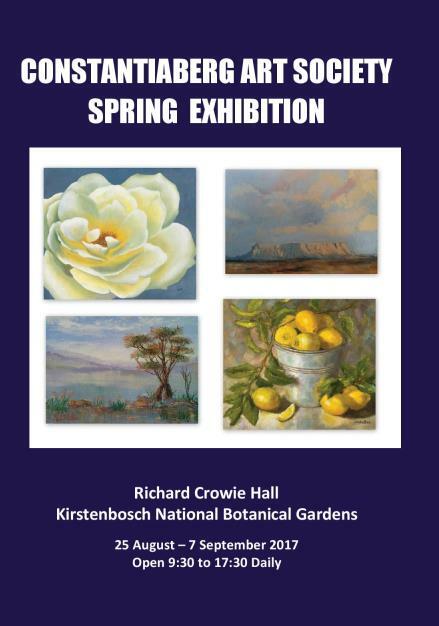 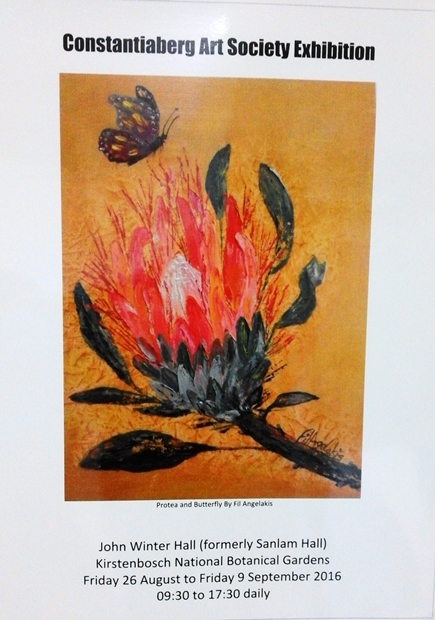 Group exhibition celebrating woman's month with original artworks by local artists. 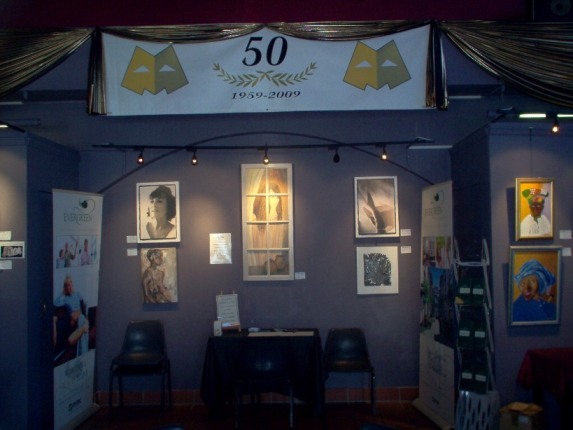 Fil's solo exhibition "Hope" in July 2008 combined with the theatre production The Lion the Witch and the Wardrobe was a great success. 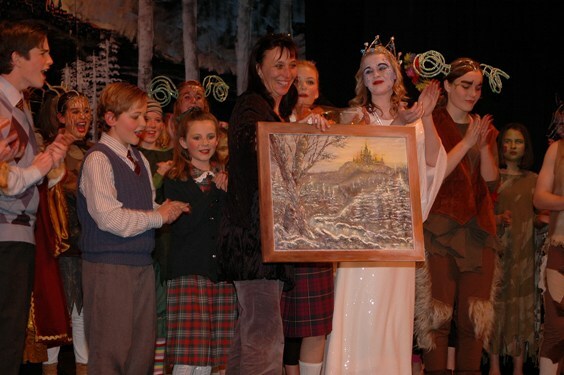 Seen here is the stage mural and drama teacher Debbie Gildenhuys receiving the painting "Hope" from her students.